Originally from the NSW Central Coast, Ryan’s career has taken him all over the world. A graduate of Brent Street Studios’ Fulltime Performing Arts Course, Ryan travelled to the United States as part of the creative team on the motion picture Rent(Sony Pictures) and, whilst overseas, also toured Europe as A-Rab in West Side Story (Sun Dance Productions), with original choreography reproduced by Broadway director and choreographer Joey McKneely. In Australia, Ryan appeared in Series 1 of Australian Idol (Top 30), was signed with Warner Bros Publishing, and in 2013 he made his debut with the vocal group Boys In The Band (SMA Productions), touring internationally. As a dancer, Ryan has performed alongside Kelly Clarkson, Guy Sebastian, Will Young, Crystal Waters and the Young Divas. Other theatre and film credits include the original workshop production of Dirty Dancing (Jacobsen Entertainment), the Las Vegas production of Splash (Kutash Entertainment) and Son Of The Mask II (New Line Cinema). Ryan originated the role of Chistery in the premiere Australian production of Wicked and since then has gone on to be one of the longest serving original cast members. 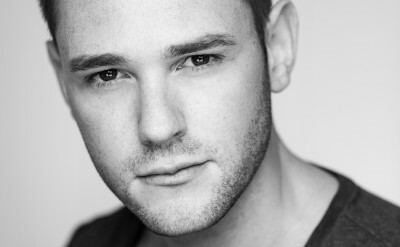 In his capacity as Dance Captain, Ryan has toured with WICKED throughout the Asia Pacific and was involved in casting for the Korean language production of WICKED. He is grateful to be a part of the show’s continued success. Ryan is a proud member of M.E.A.A.